There are some very cliche things that most couples choose to do when they go on dates – most of these include walking around a mall, a coffee shop date, dinner at a fine dining restaurant or a movie. We’re here to tell you that Mumbai has some really cool, and offbeat places that will provide a very interesting date experience. We’ve included hikes and drives, amongst other more conventional, but great options. Go ahead and check out our list of 22 romantic things to do in Mumbai. A late night coffee and good conversations with a gentle sea breeze, seems like a very appealing idea, doesn’t it? We can tell you that a coffee date at Marine Drive will be a much more special experience than one at any other regular coffee shop. Nothing like a late night drive, with some fantastic music for a date. One of the most beautiful stretches of roads in Mumbai, Palm Beach Road is absolutely perfect for this! Over the years, even though the traffic has increased – this stretch of 12 kms is mostly empty late at night. A coastal city always has great spots you can pick to chill with your date. One such amazing place is Bandstand. Sip on a hot cup of coffee, while you chill with your date, and zone out together while staring into the ocean! There are also a few good coffee shops such as CCD, Costa Coffee and The Bagel Shop around here as well. Carter Road is a popular hangout place for youngsters – single or otherwise. It has a line of coffee shops and restaurants to hang out at as well. There is also a track here for runners. You could either go for a chilled out, a romantic walk or choose to put on your running shoes and go for a nice, long, evening run along the beach with your partner. Post that, get some refreshing juices at one of the shops in the lane. Sound like a good date ? 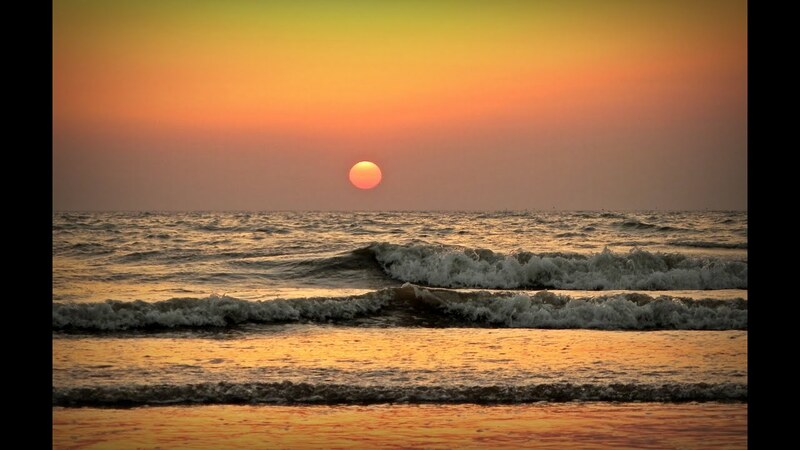 A nice walk along the seashore at Juhu beach around sunset is a great way to spend a relaxed evening with your date. While you’re taking in the beautiful sunset, munch on some delicious Paani Puri, Papdi Chaat, Bhel Puri, Ragda Pattice and Falooda! This restaurant actually has real trees in the seating area, giving you the feeling that you are actually somewhere in the midst of a rainforest. Rainforest is sure to give you a pretty cool dining experience with its unique theme. This is place is easy on the wallet, and provides a stunning view of the Arabian sea with a few boats here and there. We’re pretty sure that a date here involving sipping a few beers and munching on some great food will be something that you’d definitely want to try out! Head over to this place around sunset for a killer date! 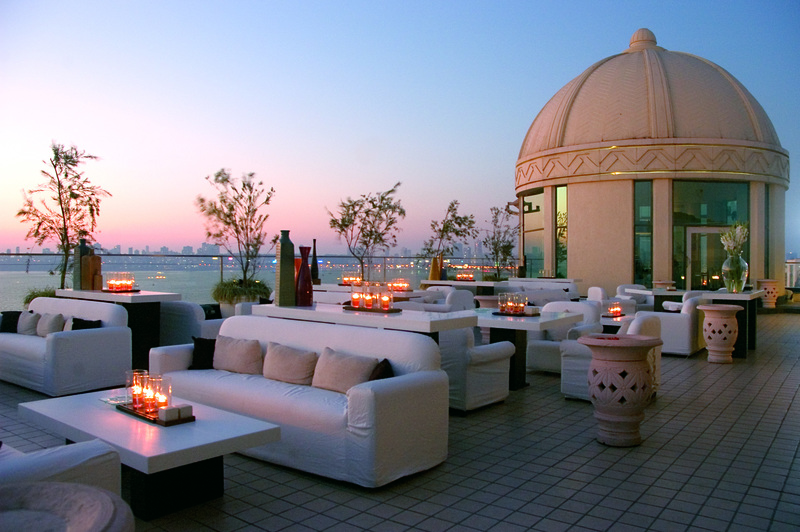 Dome, located right on the Marine Drive-stretch offers a mind-blowing view of the Arabian Sea. The posh ambiance, the sea breeze, and the setting sun will make the most perfect date! This place is a little expensive, but we assure you the experience will definitely be worth it. Once in a while, it is nice to put on some nice clothes and head out to a fancy fine dining restaurant for a special dinner date. The Table, Colaba aptly fits the bill for such an occasion. This place is Famous for the world-class chef who heads the kitchen – Alex Sanchez, and the food here is exemplary. This bar has some amazing food and drinks, and it also has karaoke night on Wednesdays! We’re sure that sipping on their awesome cocktails will draw away your inhibitions and set you up for a great performance. If you and your partner are good singers, or just want to pick up the mike and sing, not minding how your performance goes, head over here for a super fun night! For a really fancy dinner date, with an absolutely spectacular view of the Arabian Sea, head over to Aer. 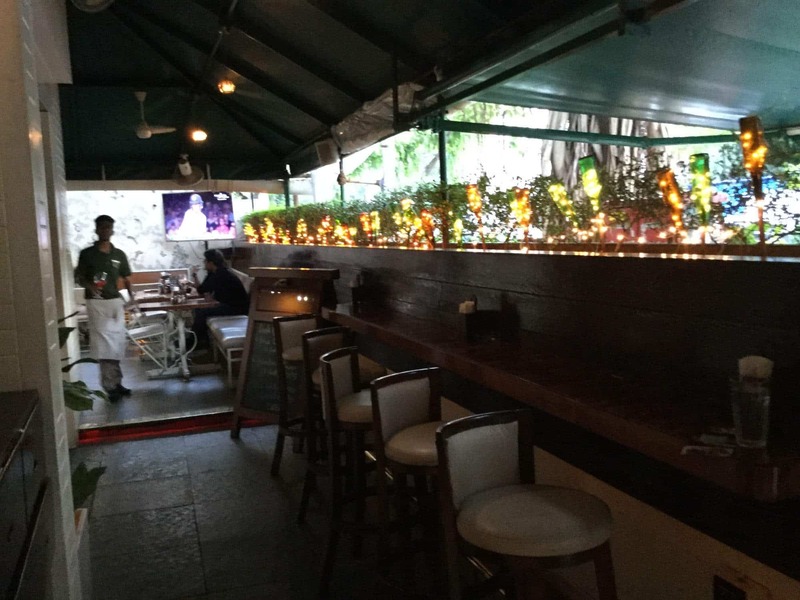 The place has a superb ambiance and also a great view of the skyscrapers of Mumbai. A date here can be quite an expensive affair, but we assure you the experience is definitely worth it! The city’s stand up comedy shows happen around this one venue. The famous All India Bakchod, and all the famous comedians around the country have performed at this venue at least once. If you and your date want to spend an evening of laughter, we suggest you head over here and check out some of the shows. 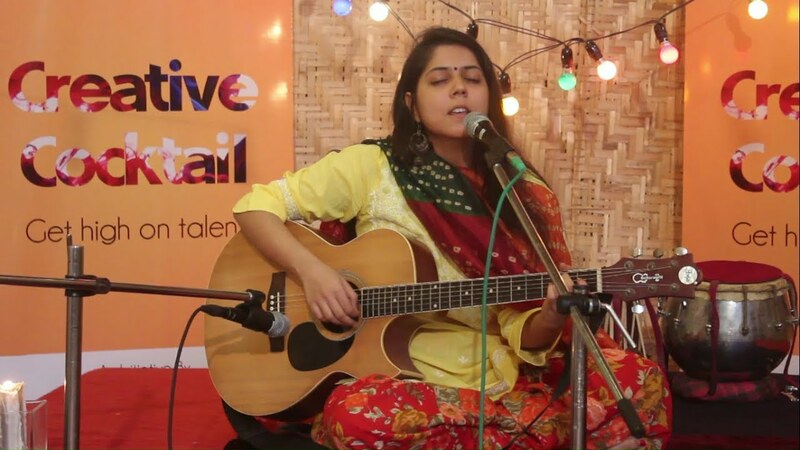 Another entertainment venue for a fun date is The Hive, Khar. This is becoming a cultural hub in the city. The Hive has stand-up comedians, live music performances, and open mics for the amateurs, every other day of the week. If your date loves art, here’s a great way to impress them! Take them to the Jehangir Art Gallery. The photography exhibitions and the abstract art showcasing is definitely worth experiencing for all photography and art lovers. Yes, you read that right! A few malls such as Atria, R-City, and Phoenix Market City have Ice-Skating rinks. For a change, do something different together, like ice-skating! You don’t have to be an expert as all the malls teach you how to skate. In case you know what you’re doing, the malls give you the option to skate on your own as well. Trust us – this is bound to be a fun and hilarious experience! Another super fun and offbeat choice for a date is the Segway and Pogo Stick tour at Thane! We imagine this could be an absolutely fun and hilarious experience. Go ahead and zoom around on a Segway together, we’re sure your better half will appreciate you for this awesome idea! No matter how cheesy this sounds, it is a fun experience! Every morning, dozens of ornately decorated horse-carriages gather around the Gateway of India offering sightseeing joy-rides around Fort and Colaba. The carriages are decked up in flashy colors depicting flowers and peacocks. The most common route runs along Colaba seafront and around the Oval Maidan but you’ll have to negotiate a fare and route directly with the drivers. Try this out on your next date! Mumbai is extremely fast-paced, and during the weekdays it’s probably very hard to get some quality time to spend with your partner. We have a spa-lendid suggestion for the upcoming weekend! Take your partner to one of the awesome spas around town for a heavenly 120-minute massage! Some of our recommendations are The Four Seasons Hotel Spa, Quan Spa are JW Marriott Hotel and Myrah Spa. Think beyond exploring the metropolis through land and water, and indulge in this interesting, and offbeat activity that provides a bird’s view of the city! This ride provides an unmatched panoramic view of the city, and they have private rides for couples too. This iconic fort was featured in the Bollywood movie “Dil Chahta Hai”. Castella de Aguada, also known as the Bandra Fort, is famous for the view of the Bandra- Worli sea link from the fort. Visit this place for a chilled out, and relaxed evening with your partner. This place is an ideal date spot when you want to get away from the hustle and bustle of the city. Right inside the city – the Sanjay Gandhi National Park, lets you hire bicycles to go all the way to Kanheri Caves about 3.5 kms inside the national park. A date here, we imagine, can be quite memorable! If you are in the mood for an awesome hike, there is a trail, just outside the city near Panvel, Navi Mumbai – the Karnala Bird Sanctuary. There are several trails to the top, which take you to the Karnala Fort. It is a super fun activity in the monsoons, in the midst of all the greenery! That concludes our awesome list of date spots! If you have something to add to our list or recommend, do drop in a note in the comments section.